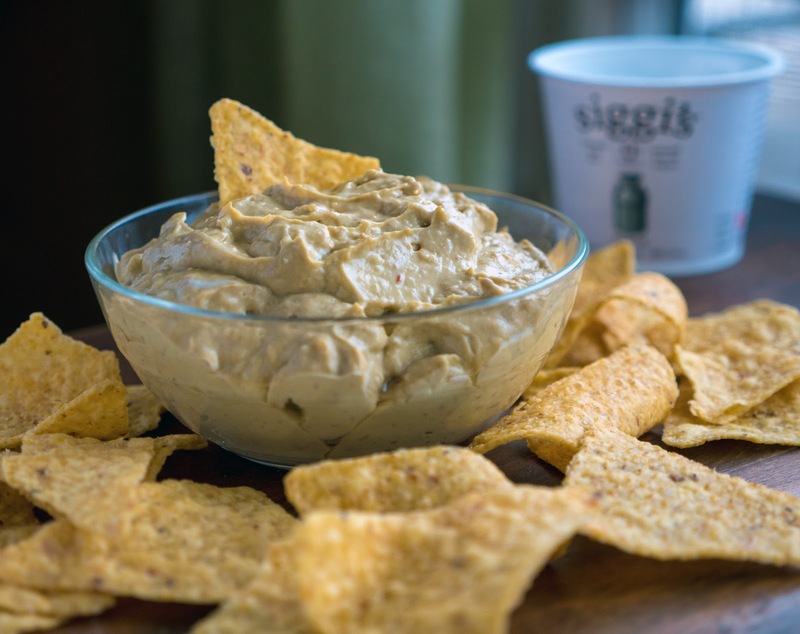 Just in time for the biggest football game of the year, I have a dip recipe that works with pretty much anything - chips, vegetables, meats, you name it. And, relatively speaking, it's kind of healthy too. So, who's going to win it this year? Patriots or Eagles? I'm pretty much neutral on the subject. It's probably not much of a shock to learn that I don't follow football. However, like a lot of folks, on Superbowl Sunday I am all about the commercials, and quite honestly all about the eats too. It's a fun excuse to gather with friends, and in winter I need an excuse to venture out, otherwise, I'd probably wind up hibernating even more than I do already. My go-to choices for this football Sunday of all football Sundays are finger-foods. I want to be able to eat while standing or sitting and while still holding my beer. Anything requiring utensils can get complicated. Wings, sandwiches, chips and dips, all work well in this scenario. As a chip-addict, I also am a big fan of dips. They are one of the easiest things to make in big batches for a large crowd. 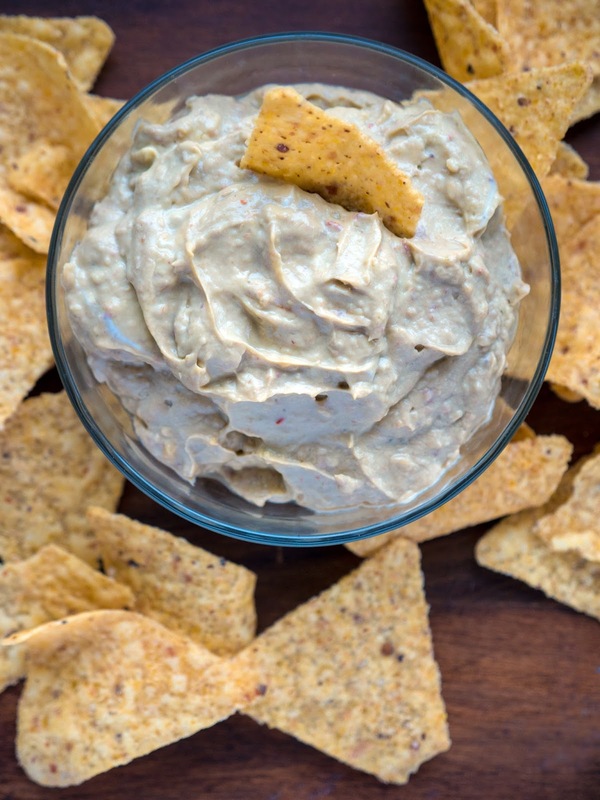 This year as crazy as it might sound my dip inspiration came from yogurt. 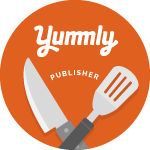 I wanted to make a creamy, tangy dip but also wanted to create something with a slightly more healthful twist. So, instead of sour cream, I chose plain Siggi's yogurt. You can use Greek-style yogurt, but I went with Siggi's Icelandic-style because it is that much more thick and creamy. It is my absolute favorite yogurt in terms of consistency and I love that it's made with real ingredients and very little sugar. Okay, back to the dip. As an homage to the irresistible classic dip of my childhood, French Onion, I sauteed some onion and garlic to give this dip a solid flavor base. Next, I went for some smoky spiciness with two chipotle peppers in adobo. To bring in a touch of freshness I squeezed in some lime juice. And well, the ripe avocado on my counter was just begging to be used, so in it went. 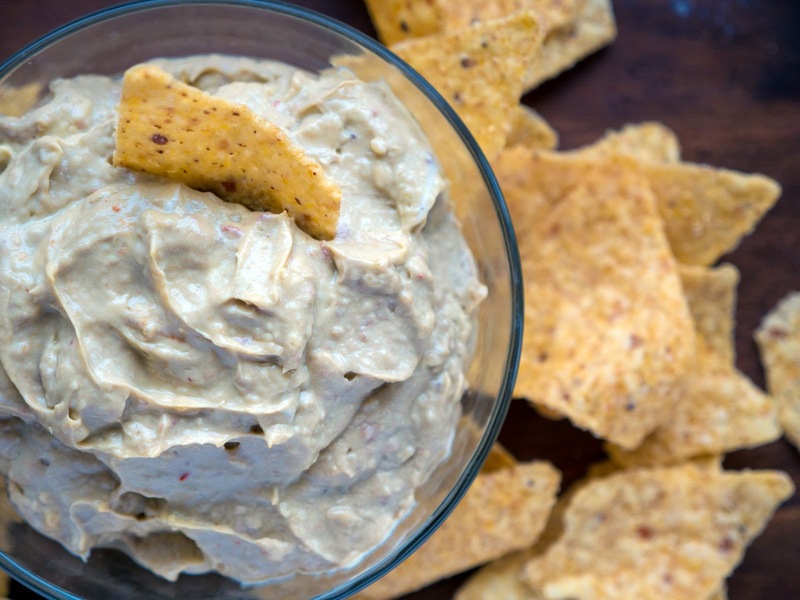 This dip is perfect for veggies or chips. For that matter, it doesn't just have to be a dip. It's thick enough to be a spread for sandwiches or burgers. You could even thin it out with some vinegar or extra lime juice and use it as a creamy salad dressing. So, are you ready for some football? What are your favorite munchies for game day? In a small saute pan heat the olive oil over medium heat. Saute the onion until translucent and lightly golden on the edges. Add the garlic and continue cooking until fragrant. Add the cooked onion and garlic to a food processor or high-powered blender. To the blender add the mashed avocado, plain yogurt, minced chipotle peppers, lime juice and a pinch of salt. Scoop into a bowl and serve immediately with fresh vegetables or tortilla chips. That does actually sound pretty healthy! Thank you! I have a little leftover from our Superbowl party and I cannot wait to try it on a turkey sandwich for lunch this week.